For a century, Oklahoma has been at the crossroads of American golf: Bolt, Moody, Jameson, Morgan, Tway, and Coe were born there; Hagen, Hogan, Nicklaus, Woods, Lopez, and Sarazen competed there; Nelson, Zaharias, Palmer, Wright, Floyd, and Snead won there. It is hardly surprising that the U.S. Open returns to Southern Hills in Tulsa, Oklahoma in the year 2001, or that Golf Digest ranked Oklahoma City the fifth-friendliest golf city in the country. The Story of Golf in Oklahoma chronicles the links history of the Sooner state, from championships to courses to personalities. Previously unpublished material includes numerous color and black-and-white photographs, layouts of Oklahoma courses, and detailed appendices documenting the dates, locations, champions, and winning scores of every Oklahoma Open as well as of other prominent golf championships played in Oklahoma. 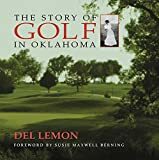 The book also includes lists of winners of the Oklahoma Golf Association, the Women’s Oklahoma Golf Association, the South Central PGA section, and a comprehensive player register, including biographical data, about native Oklahoman golf champions and other champions who have lived in the state. Oklahoma’s golf legacy has been one of the best-kept secrets in American sports--until now. From humble beginnings, the Oklahoma City Golf & Country Club became the class of country clubs in Oklahoma. It was the dream of a few men who hoped to foster the relatively new game of golf in the new state. The founders would be proud of what the Club has become and to see how their dream has loved on for a century. By Alan B. Hollingsworth M.D. It's not about golf. It's about life. Set in a small Oklahoma town in the mid-1960s―a simple place in a confusing time―Flatbellies is partly about the seemingly unreachable goal of a high school golf team: to win the state championship. But mostly it's about the way Chipper, Jay, L.K., Buster, the unforgettable Peachy, and their friends learn to deal with love, loss, friendship, fear, triumph, tragedy, growing up, and growing together. Fictionalized from the author's teenage years in the heartland of America, Flatbellies is a memorable and moving coming-of-age story. For the first time ever, the top right-handed pitcher on the fabled New York Yankees teams of the early 1960s chronicles his life in both baseball and professional golf. The only man in major-league history to throw the final pitch in two World Series Game Sevens, Ralph Terry takes us inside the dugouts and onto the fields with a wealth of remembrances about his teammates and foes, including such unforgettable athletes as Roger Maris, Mickey Mantle, Ted Williams, Yogi Berra, Billy Martin, and Elston Howard, to name only a few. A must for any sports fan, RIGHT DOWN THE MIDDLE celebrates the life and times of a star pitcher — and, later, successful pro golfer — who exchanged the dusty diamonds of his tiny Oklahoma hometown for the manicured playing field of Yankee Stadium, becoming a baseball legend in the process.